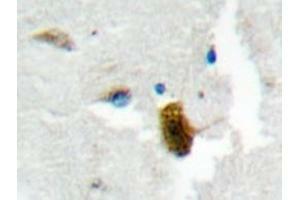 Immunohistochemistry analyzes of MgcRacGAP antibody in paraffin-embedded human brain tissue. 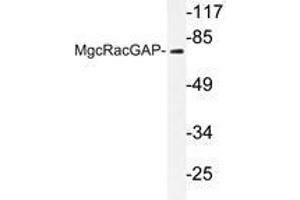 Western blot analysis of MgcRacGAP antibody in extracts from COS7 cells. 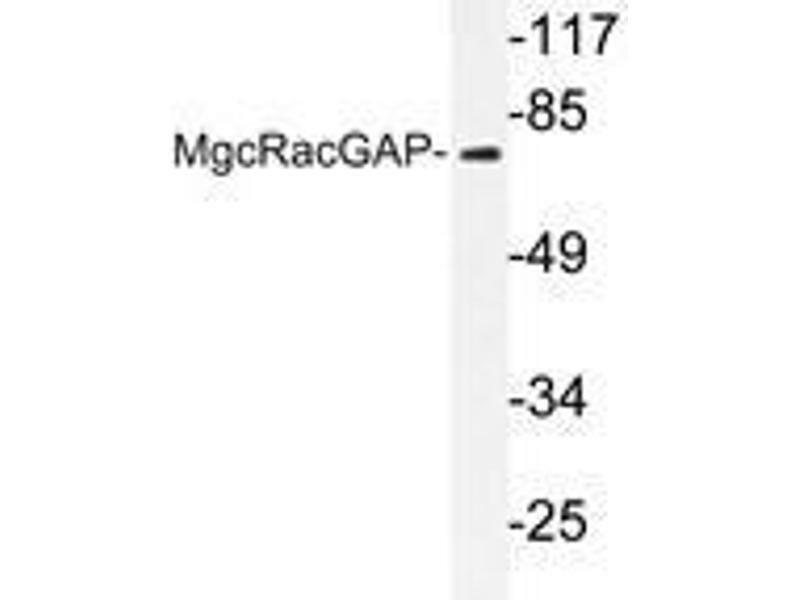 Specificité This antibody detects endogenous levels of MgcRacGAP protein. Réactivité croisée (Details) Species reactivity (expected):Mouse and Rat. Indications d'application Western blot: 1: 500 - 1: 1000. 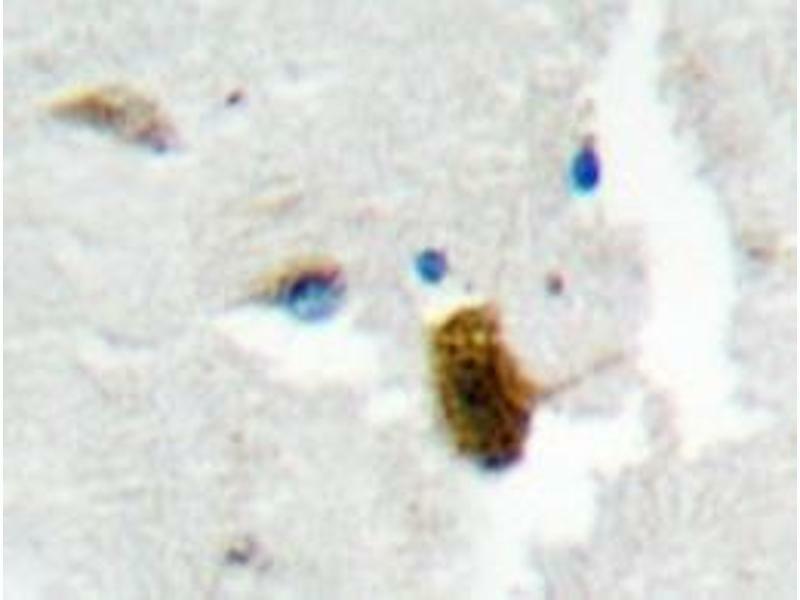 Immunohistochemistry on paraffin sections: 1: 50 - 1: 200. Immunoflourescence: 1: 50 - 1: 200. Stockage commentaire Store at 2 - 8 °C for up to one month or (in aliquots) at -20 °C for longer.